One of the newer brands we have started carrying that we love is Yoder Smokers. These are some of the most versatile grills on the market. Whether you’re looking to smoke, bake, roast, or grill, Yoder has a solution for you. Yoder Smokers come with a programmable controller that allows you to set it and forget it. They produce more smoke than their competitors and produce enough heat through the addition of their direct grilling package. This allows portions of the grill to reach temps of over 700º! Yoder Smokers are essentially a smoker and a grill in one. Yoder Smokers offer multiple different models that include different sizes and features. These smokers also have a build quality better than almost any other brand. Just in case you had any doubt, they back up their products with a 10-year warranty on the body of the grill and with a 3-year warranty on their controls. Yoder Smokers even have the YS640 competition cart and grill! If you are into competitive BBQ, this is the grill for you. 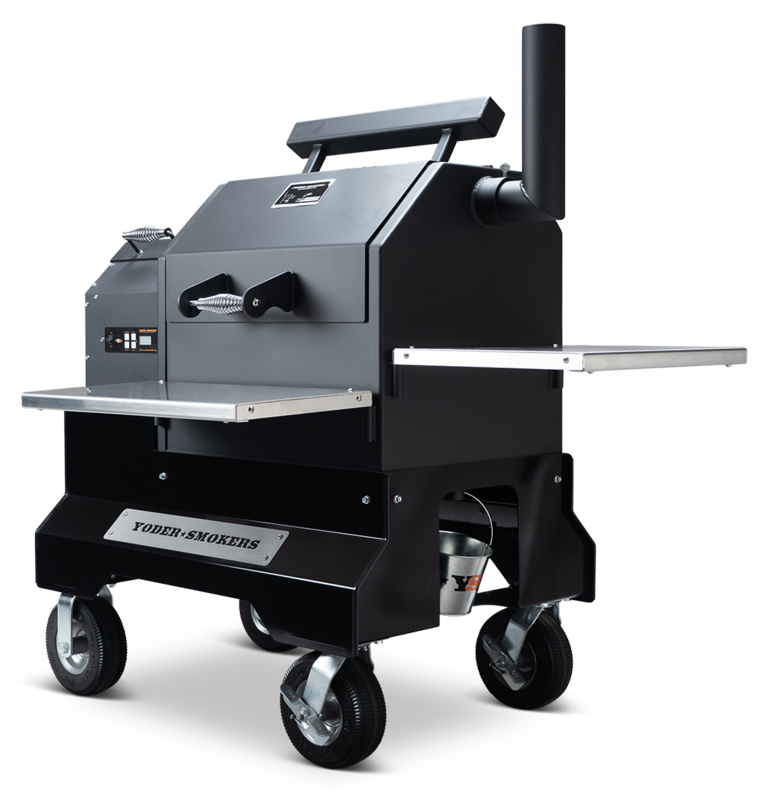 It has wheels that allow for easy mobility, as well as extra shelves for helping you prepare your BBQ. All of their grills are made in the United States, which means you will get a level of quality that overseas-produced grills won’t be able to match. The other great part about some of the Yoder Smokers grills is that they can be customized and expanded. This allows you to get the grill that works best for what you need. Browse our selection of grills here. Can’t find what you’re looking for? Give us a call, or stop by our showroom.